How to Make an Art Portfolio...And Find More Paid Gigs as a Freelancer. 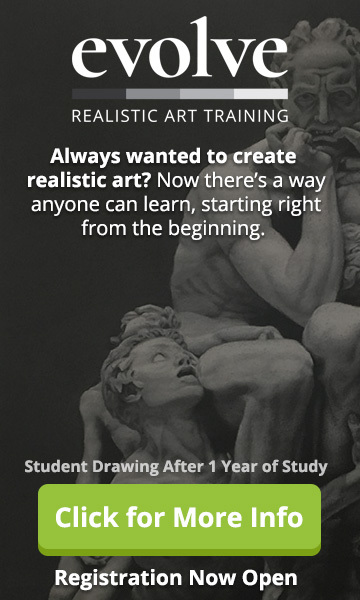 Pencil Kings » Blog » Podcast » PK 145: How to Make an Art Portfolio…And Find More Paid Gigs! Interview With Concept and Fantasy Artist, Paul Yates. 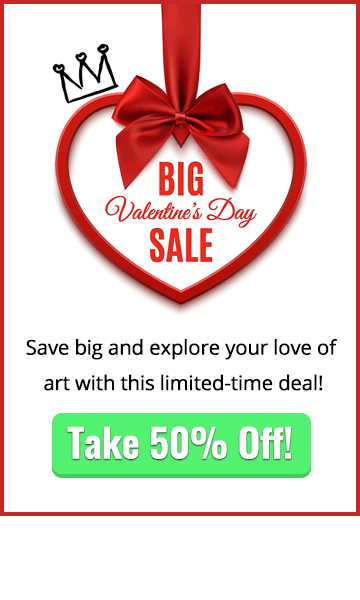 Want to find out how to make an awesome art portfolio and find more clients? In this interview, we speak to Paul Yates, a concept and fantasy artist from Canada. Since leaving uni and going freelance, Paul has scored a number of wins as an artist, including being featured in Spectrum – a leading magazine for fantasy art. However, despite this, Paul is struggling to find regular work as an artist. And that’s why he reached out to us here at Pencil Kings to see if we could help. 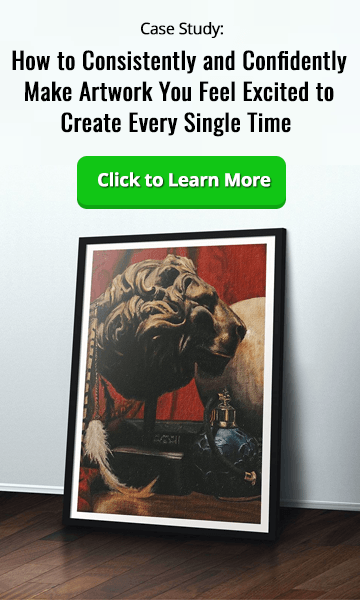 In this interview, you’ll learn why having a great portfolio is only part of the package…and why making connections with fellow artists and getting involved with as many art-related events as possible is your key to finding more paid opportunities. So, if you feel stuck in your career as an artist and don’t know which way to turn next, we hope some of the topics covered in this interview will give you some super-useful tips which you can start acting on right now. Your host, Mitch Bowler, introduces today’s guest, Paul Yates. In this chapter, you’ll hear about his creative career so far, and why he decided to approach the team at Pencil Kings for their advice on his art career. What is Paul’s Professional Experience of Working as an Artist? Since leaving uni and going freelance, Paul has worked on a variety of projects, including personal commissions and book illustration projects. However, he’s been struggling to find concrete leads since then, which is why he turned to Pencil Kings for help. What has Paul Been Doing to Reach out to People so far? After putting your portfolio together, one of the biggest challenges as an artist can be knowing who to reach out to…and how to approach them. So how has Paul been reaching out to prospective clients…and is there anything he could change to have more success? How Much Time Does Paul Spend on Improving his art Skills? Since quitting his 9-5, Paul has been putting in the hours on developing his art skills every day. But how is he dividing his day up…and is there anything he could do to use his time more effectively? What Does Paul Think is Holding him Back? Paul’s portfolio features a high standard of work and he’s been featured in an industry-leading magazine, Spectrum. Yet, despite this, he’s struggling to find his next big gig. So what does he think is holding him back…and what can he do to change this? In this chapter, you’ll get some great tips on how to reach out to other artists and prospective clients based on our own experiences as working artists. What Does ‘Paying Your Dues’ Mean? A lot of artists feel held back in their careers because they feel they ‘haven’t paid their dues yet’. But what are these dues…and what can you do as an artist to overcome hurdles like these? What Inspires Paul to Make art? In this chapter, we asked Paul to tell us how he’d like his portfolio to be perceived by other artists and prospective clients. He reveals what inspires him as an artist, and the message he tries to convey with his paintings. Is there anything else he could be doing to make his portfolio and website stand out from the rest? Mitch wraps up today’s interview and offers Paul some more insights on how to make an art portfolio, grow his client base and hopefully find more paid gigs. In this chapter, you’ll also find out where to see Paul’s work online and follow him on his social media channels. We hope this week’s interview with Paul Yates gives you lots of useful tips on how to make an art portfolio and take the next steps towards your art career. Have you got any tips on putting together a portfolio you’d like to share?